Don't be surprised when people are impressed with this unique Alice in Wonderland Surprised Crossbody Purse. 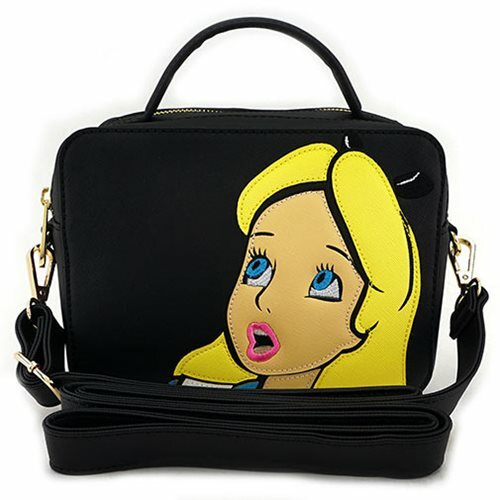 This Saffiano faux leather purse prominently displays Alice on the front of the bag. With applique details, this bag will fit into any Disney themed wardrobe. It measures approximately 8-inches wide x 6-inches tall x 4-inches deep.